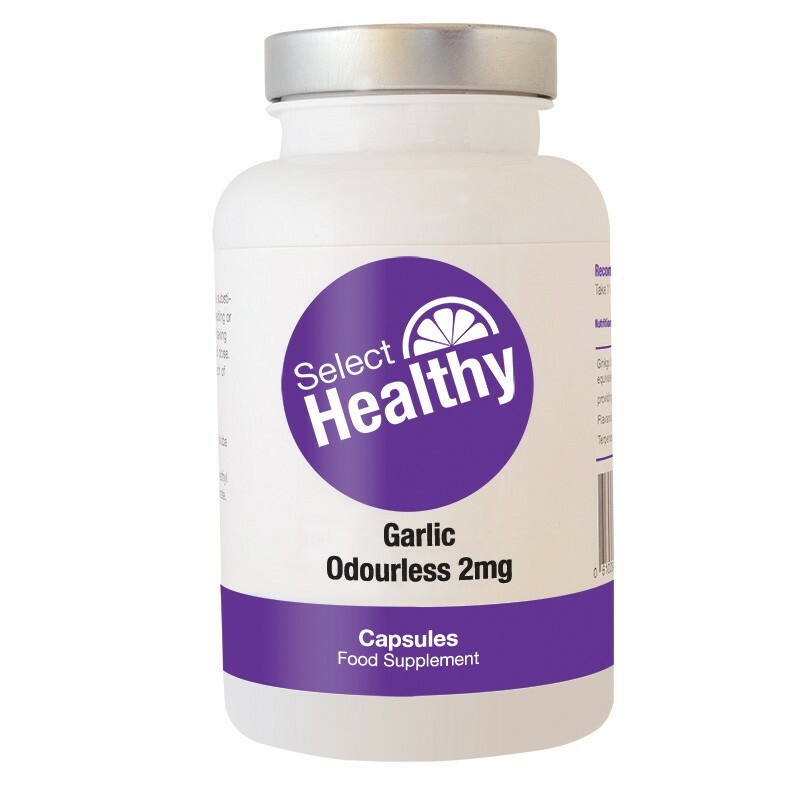 Our Odourless Garlic contains 2mg of Garlic extract providing the benefits without the pungent odour. I love everything about garlic from the taste to the health benefits, unfortunately my wife is not a fan. Select Healthy's odourless garlic suits us both as i still get the benefits and my wife is happy as it doesn't make me smell(her words). Best price online too. I am not a fan of garlic but do understand that it is excellent for health and heart. I find that this odourless garlic is gentle and i don't get any taste from it. Unbeatable price too, highly recommended. Low in price but high in health benefits, Select Healthy are highly recommended. Garlic is beneficial for many health reasons, Select Healthy's odourless garlic is great fro my blood pressure, with the added benefits of boosting my immune system. Garlic is the one major thing lacking in my diet, i cannot stand the smell or taste of it. It is banned from our home so select's odourless is perfect for me and my family we can get the benefits without having to actually taste the stuff. Effective help for heart and immunity, i combine it with echinacea with great effect. Good for my immune system and also helps with my heart and choleesterol. Select Healthy always deliver in good time. Great for my heart and my overall health, i prefer this gentler version as i hate it repeating on me. top notch value,improves your health without breaking the bank,arrived swiftly thanks. i used to take the stronger garlic but found it too strong,i suppose if you are used to garlic then it would be fine,but i'm a first time user .i found the odourless garlic suited me much better. A HIGHLY EFFECTIVE SUPPLEMENT THAT PROVIDES A WIDE RANGE OF HEALTH BENEFITS,EXCELLENT INTERNET SHOP. effective garlic supplement excellent for people like me who want the benefits of garlic but can;t stand the actual stuff,no smelly breath either . what a good price and it came with a great service ,recommended as a great reliable site. a gentle and effective way to improve circulation and boost immunity,recommended to all ,especially as its odourless. You give good service and i will recommend you. Good lack keep going.